My move in has been great from the start. Keidre has been so amazing and helpful throughout my process of moving. So far it is very peaceful and quiet over here and I love it ! So far so good, no problems yet. Had a couple things go out in apt but they were fixed in a few days, can’t really complain. I do like the online pay feature. It's very quiet and affordable, but I just have a real issue with the tub being painted. It's disgusting. The complex painted the tub again a few months ago and it's peeling again. I have been here for five months & the management & staff have been very helpful in all inquiries I have requested thus far! I hope this continues if so I will definitely renew my lease ! This community is quiet and clean. The staff has been really helpful and informative. The apartment was clean inside when we moved in. The appliances also very clean. So far, I love everything about Cashel Springs and I’ve only been here one week. From the friendly, courteous, and professional staff, the the newly renovated and affordable apartment homes they offer. The homes are so cozy and spacious, and the area is very quiet. I would refer anyone to come and live here. The office staff seem to know what they were doing. They also made me feel welcome and that I was important. I also like the way the grounds looked (clean). I really like living here at Cashel Springs. Love the trees and location, Close to everything I need and a very good part of Houston. The staff is excellent, friendly and efficient. I can always stop by the office and get a smile and courteous conversation. I am very happy living out my retirement here. Very friendly staff. Always kind and helpful.Nice place to live. Would recommend Cashel Springs to anyone. The staff make sure you are taken care of swiftly. ITS NICE AND QUIET PEST IS BAD BUT THEY DONT TAKE LONG TO COME OUT AND SPRAY PARKING IS OK DEPENDS ON WHAT TIME YOU MAKE IT HOME BUT OVERALL ITS A REALLY NICE AREA TO CALL HOME. This is great dog loving community. My neighbors downstairs have two cute adorable dogs. The next door neighbor has the cutest new puppy named Lulu. Then there is Maggie, a beautiful black lab. They provide poop bags and trash stations, so it is easy to be a good neighbor here and pick up after your dog. Love Cashel Springs! We have been here for 4 and 1/2 years and have been through management changes but have never had any issues. It's been good to not have issues with neighbors or the office. 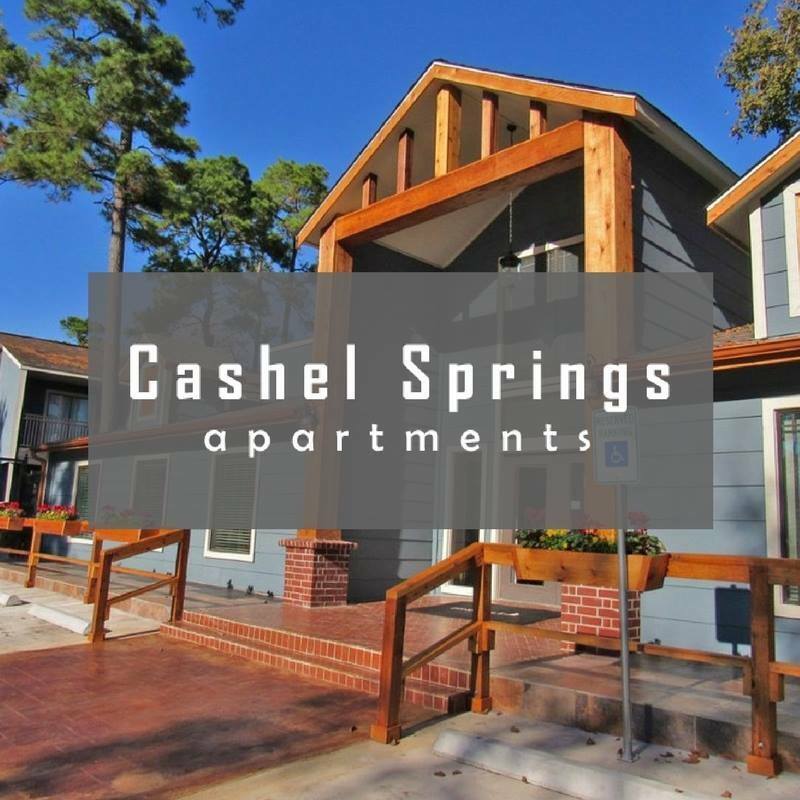 Cashel springs apartments is a Very quiet and peaceful Apartment complex. Located in a great area, nice staff, beautiful pool area, decent parking. I've been living here for 2years going on 3 years and I've gotta say that that living here has been awesome. The staff are super friendly and the residents are too. Best placed I've lived in by far!! I love it here. It’s quiet and clean and very unexpectedly affordable. The complex is small which is one thing I look for when looking at apartments and there’s a mixture of the community. Very friendly employees. The neighborhood seems quiet, havent had any trouble with neighbors. The apartments themselves are a good "bang for your buck" type of deal. Awesome community to live in - no doubt about it. The staff is very friendly as well. I would honestly recommend it to anyone. I like my apartment - enough room to organize everything. Cashel springs is a great place to live. I dont have any problems with the neighbors or people around the neighborhood. The staff and maintenance workers are also very helpful! !